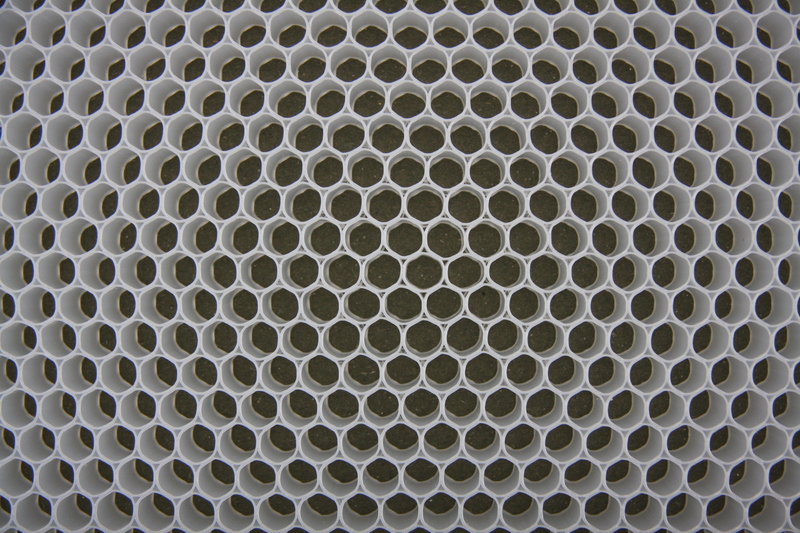 We produce a polypropylene honeycomb core base using either a homopolymer or copolymer*. We are able to produce various compressive strengths as required by you, the customer. The nature inspired design has proved to be more than structurally sound. 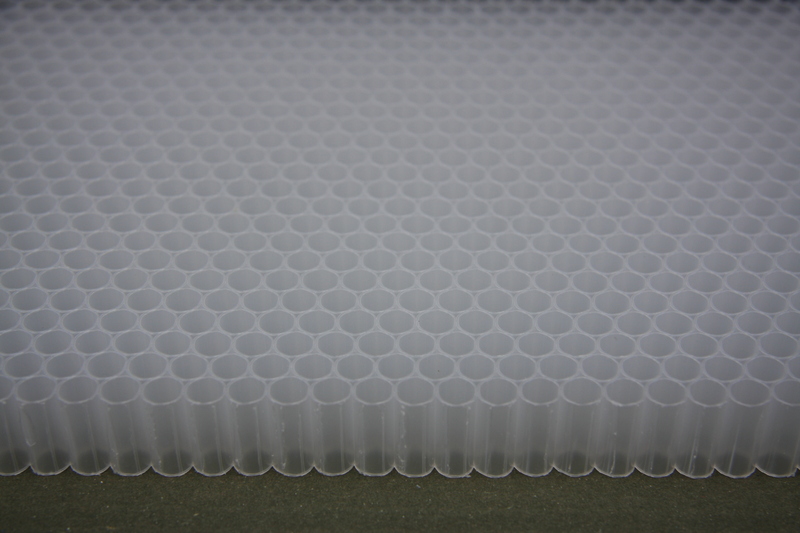 The standard tube diameter is 8, 10 or 12mm with a density of 60 to 200 kg/m³. 2. Excellent corrosion resistance, can stop erosion of chemicals and seawater, etc. 3. Excellent waterproof and moisture-proof performances. 4. Excellent sound insulation performance, can effectively attenuate sound. 5. Excellent compression and shock resistance, can absorb external force, reduce impact and collision damage. 6. Excellent insulation performance, can effectively guarantee the relative stability of internal temperature. 7. It is environmentally friendly, and can be recycled. It can be extensively used to replace traditional materials such as plywood. It can be widely used in yacht, passenger carriage body, high-speed train, aerospace, storage tank, Glass Fibre reinforced Plastic, air curtain, air filtration and purification,construction and decoration materials, and all vehicles with lightweight requirements.